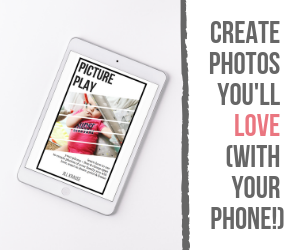 I am a “Picture Play” affiliate and earn a commission when you order through my links in this post. Have you ever wanted to take better pictures with your iPhone or Android? 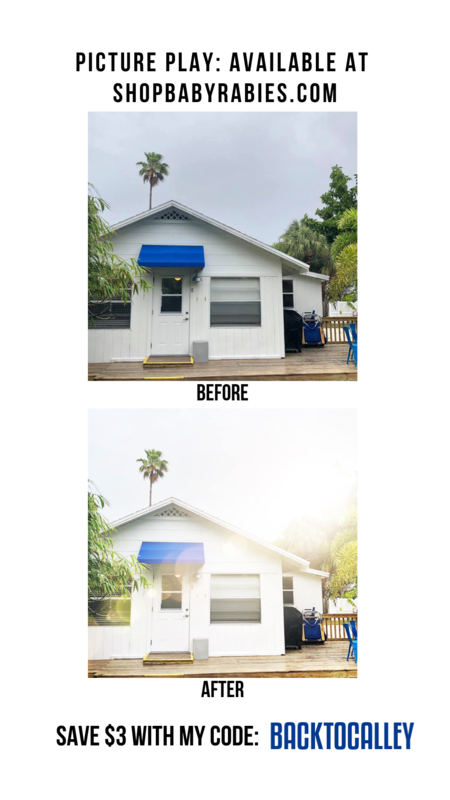 Did you know that there are a few free or low cost (like less than $5) apps that can make your regular iPhone pictures 10X better? 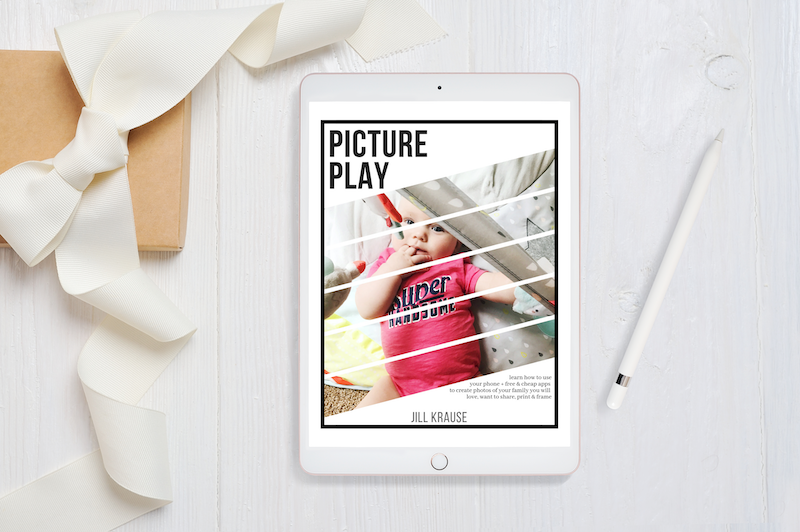 It’s possible with some of the tips that Jill from Baby Rabies (and Happy Loud Life) shares in her new Picture Play ebook. I have a fancy DSLR that I bought a few years ago and kinda learned how to use, but it’s so big and bulky that I never take it with me. I’m really happy with the overall quality of photos from my iPhone 8+ but it doesn’t always take perfect photos. Sometimes they are too dark, or too light, or there are things in the background that are distracting. This is one of the photos I took a few years ago with my DSLR. It showed up in my memories this week so I thought I’d try to edit it again using the tricks in Picture Play. Look closely behind her head, in the new version I edited out the lady that was standing there! It’s not super clean, but it makes you focus on my daughter and not the background. 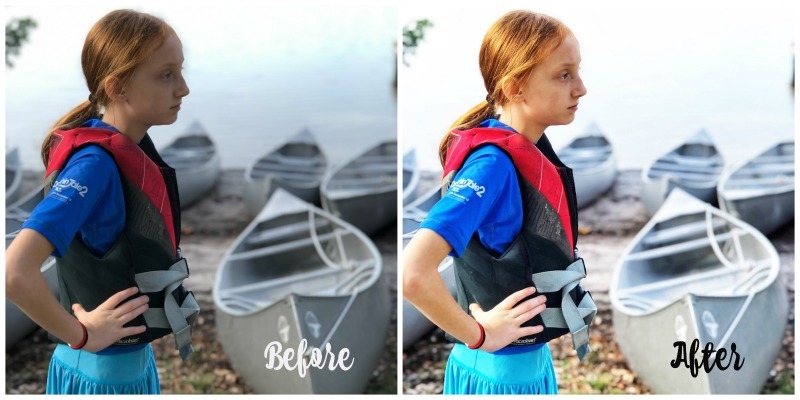 I love how much brighter my daughter’s face is from her weekend at Girl Scout camp and how much more vivid the colors in her outfit are. This was taken in portrait mode on my iPhone which is how I got the background to blur a bit. I bought Jill’s ebook when it first released and was excited to read all 161 pages of tips. I was even more excited to join the private Picture Play Facebook group. 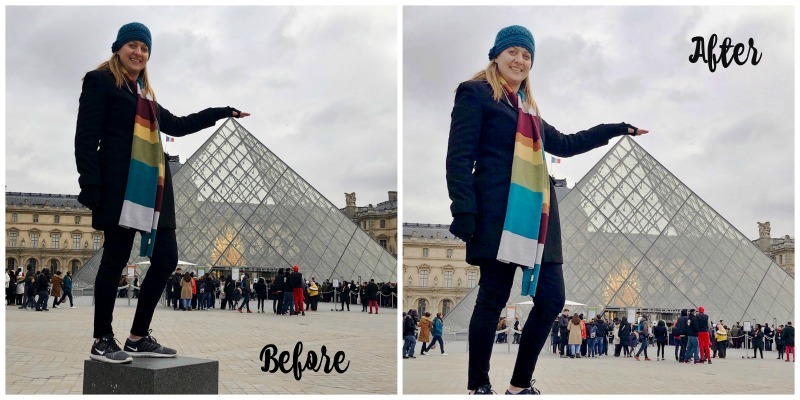 In the group other readers share their before and after pics, ask for advice, share tips and lessons learned, and Jill will share additional tips with all of us. This has been the best investment that I’ve made on photography in the last few years! I spent a few minutes editing some of my favorite photos from Paris and I’m just amazed at home much better they are. I ended up editing 50 photos while on our trip earlier this year and made a photo book for my desk. I shared the book with a few friends and they were amazed at the quality of the photos, they never thought I took them on my iPhone!! You can take better photos too! It doesn’t take long to learn and it’s not super confusing. Jill shows you step by step some of her favorite tools and apps with photos to show you those steps. The ebook is only $19 regularly and when you use my coupon code BACKTOCALLEY you can save $3 off your order. If you happen to be reading this on February 11 & 12th (2019) then you can use code VALENTINE and save $5 instead! Codes aren’t stackable so just pick the one that works best for you. 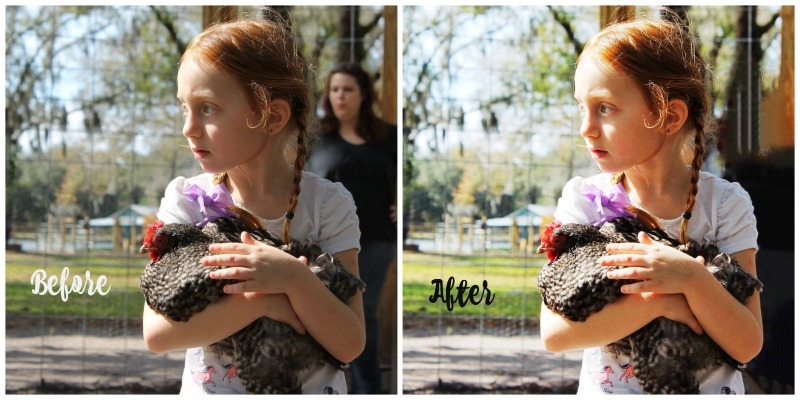 I can’t wait to see your before and after pictures!! Be sure to follow me on Instagram to see more of my efforts to improve my photos. You can follow me @BackToCalley.